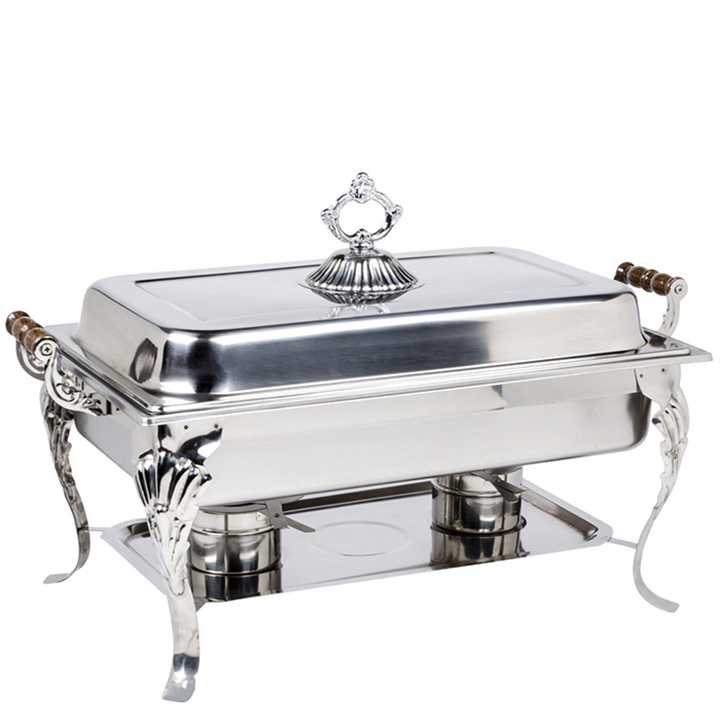 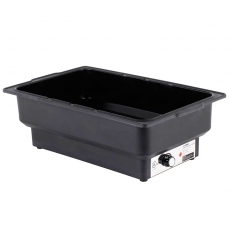 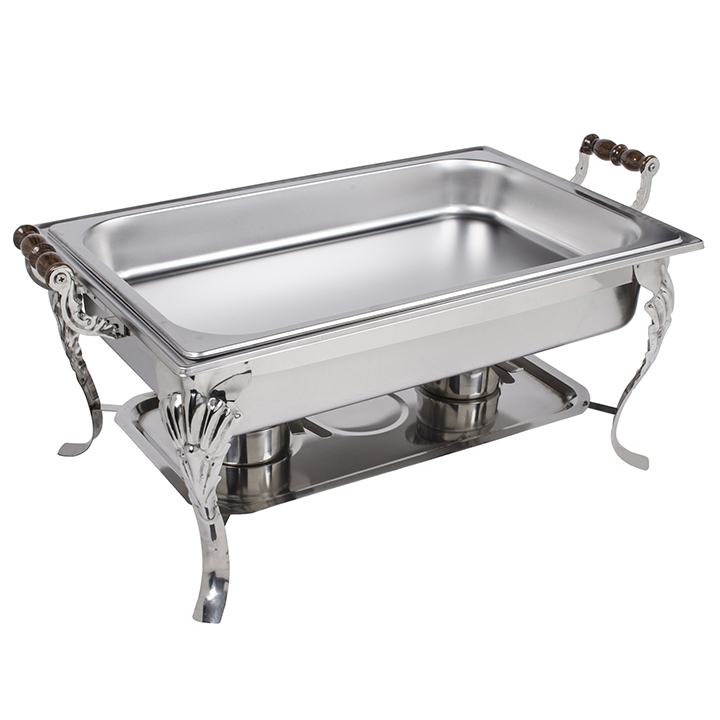 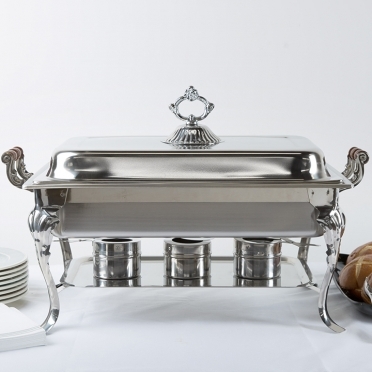 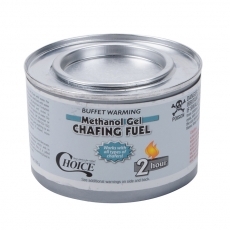 When you need to raise the level of your decor up a notch, this chafer is ideal. 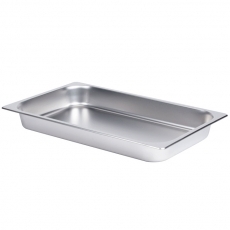 Its stainless construction is sturdy and provides a polished finish that looks classy. 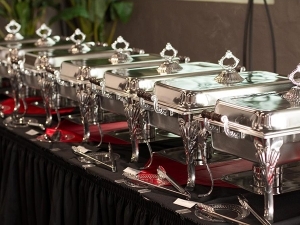 The large size holds a tremendous amount of food, so crowds of guests at weddings or banquets will be satisfied. 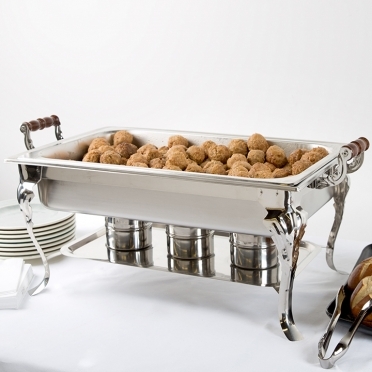 Whether you need a place to keep your meatball appetizers, a serving piece to display your scrambled eggs and sausage, or a space for your macaroni and cheese, this dish will keep everything at a warm temperature. 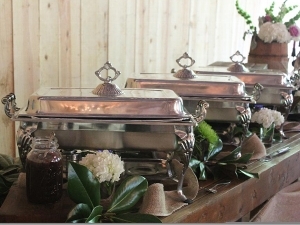 The wood handles add to the pleasing aesthetics and remain cool so that hands do not suffer burns during service.